Wouldn’t it be great to able to walk up to someone anywhere, anytime, and hand them a comprenhensive overview of your work? Then if you wanted to, you could enlarge them into a wall size display that a whole room could see. Slides have been doing this for Artists since the invention of Kodachrome in 1935. The fact is that even in the digital new millenium, slides still matter and have real value for career-oriented artists. A large number of grant ,show and teaching position submissions still require slides. Besides, what other way can you show someone your portfolio in a way that can be instantly viewed with nothing other than a source of light? When you own a 4x5 transparency of a work that has sold and is gone forever you have a physical object you can look at and hold in your hand; a permanent record not subject to digital data corruption, media failure, or software obsolescense. You also have a source image which can be used for vitually any use you can imagine. 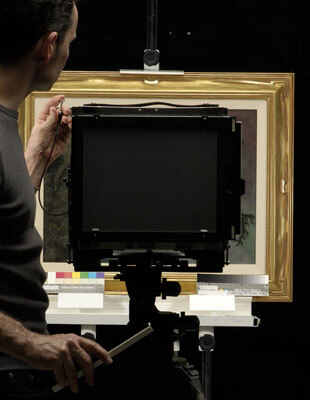 In the art world, presenting a large format transparency at a meeting is the equivalent of laying down a large pile of cash to make a major purchase. It carries the undeniable message that you are serious about what you are doing.